Editor’s Note: Those 150- to 200-acre tracts of land you’ve always dreamed of having, your own little piece of heaven, may be finally within your reach. You’ll want to plant a garden, have a pond, have a dove field and attempt to take a deer or a turkey off this land. Maybe you’ll get to see geese or waterfowl landing on your pond, or perhaps you’re not a hunter, but enjoy seeing wildlife. 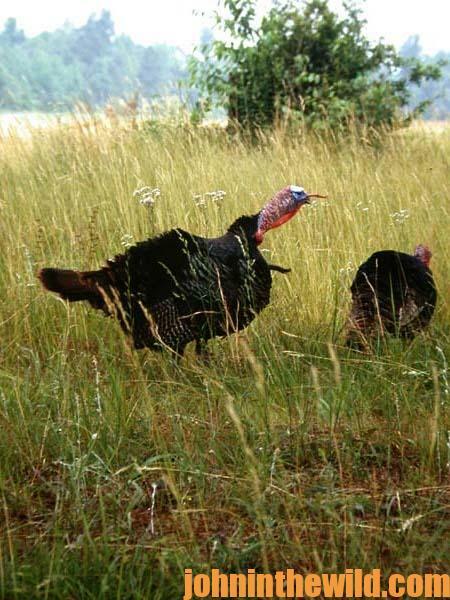 The real-estate agent has told you, “This property is loaded with game.” Before you buy or lease, you’ll want to know how much wildlife you can really expect to see on the property, or you’ve already bought it, you still can learn more about the wildlife on your land. Hunters are a fickle bunch. 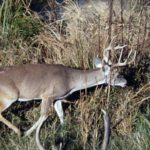 They want deer to appear wherever they are, regardless of wind or weather conditions, availability of food or the condition of the deer herd. When hunters aren’t seeing as many deer as they think they should, or most often they aren’t seeing the number of big bucks they think they should see, hunters believe the price they’ve paid for a lease may have been inflated. 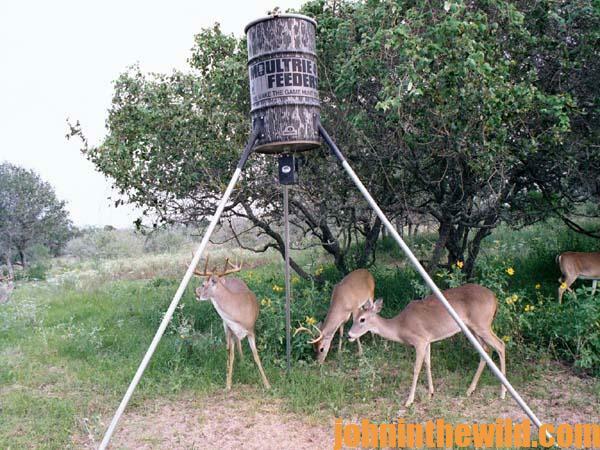 However, one thing you can learn by using feeders and cameras is that every piece of property that’s hunted, more than likely, has more deer and turkeys on it than what the hunters are seeing. 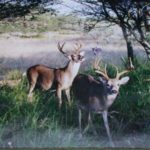 One of the big mistakes hunters make is assuming that because they’re not seeing big bucks, there’s not any big bucks on the property. How many times have you heard, “Well, if there were big bucks on this land, the 20 hunters who hunted here would’ve seen them. None of us has seen a really big buck, so we know they’re not here.” This may be a fair assessment; however, sometimes the deer have become smarter than the hunters. 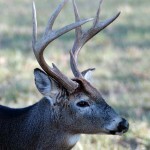 The deer have adapted to hunting pressure and are staying in thick cover during daylight hours, only moving after dark. Therefore, the deer are on the property, you just can’t see them. 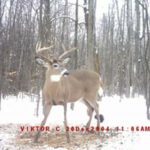 There aren’t any better tools for scouting for deer and taking inventory of wildlife and determining the size and number of deer and turkeys on any property than a feeder and a camera. 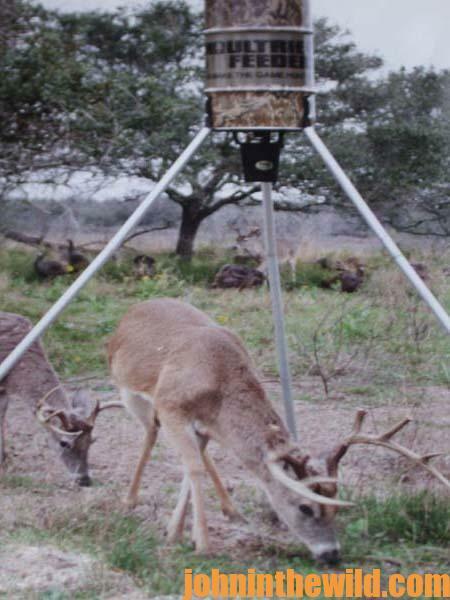 You’ll always know what time and where the critters are feeding. 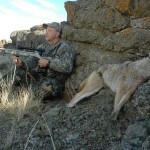 To learn more about hunting deer on this land, go to John E. Phillips’s book, “Whitetail Deer and the Hunters Who Take Big Bucks” at https://www.amazon.com/Whitetail-Deer-Hunters-Take-Bucks-ebook/dp/B01KU0O1KY, available in Kindle and print versions.